Love is in the Air and our Valentine’s Competition is back! 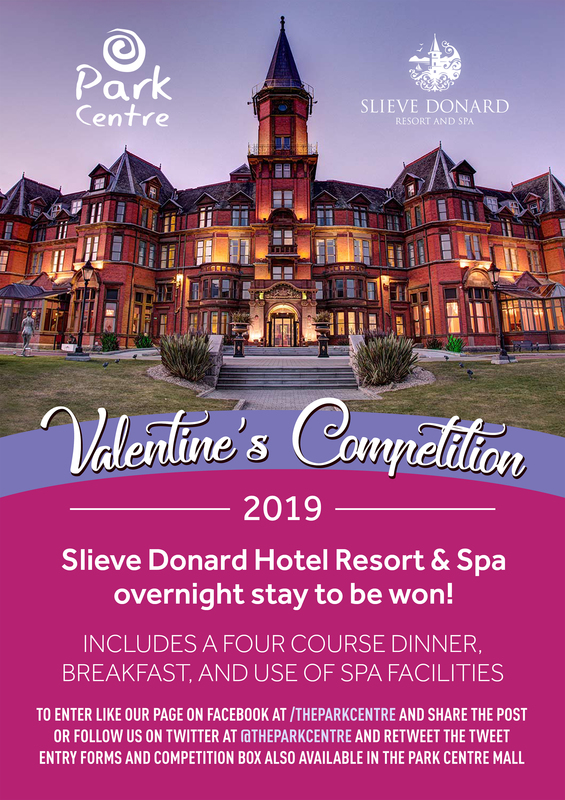 Win an overnight stay at Slieve Donard Hotel Resort & Spa! For a chance to win this super prize simply like our facebook page and share the post or follow us on twitter and retweet the tweet! Entry forms and competition box can also available in the Park Centre mall.